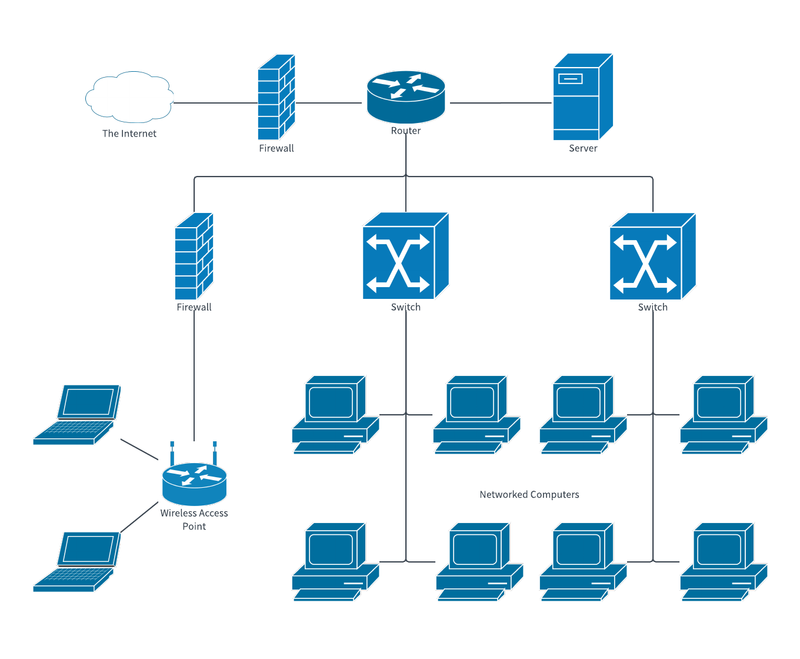 An office network diagram maps out the relationships between the technological components of your company's network. It allows you to see how the different devices interact to pinpoint trouble areas, ensure optimum performance and facilitate upgrades and additions. By signing up for a free Lucidchart account, you can use this office network diagram template for your company. It is completely editable so you can make it fit your company needs.